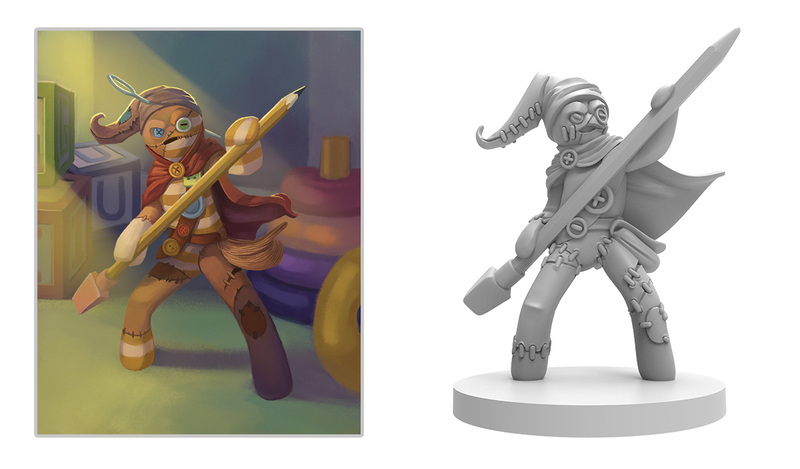 Well, Stuffed Fables has been released, and it seems the big reaction to it has been, "this is amazing! We want more!" Well, Plaid Hat Games is here to oblige. They've created a new, stand-alone story for the game that you can download and add to your storybook now. Stuffed Fables is now available. That could just be the whole crux of the story, and that'd be fine. 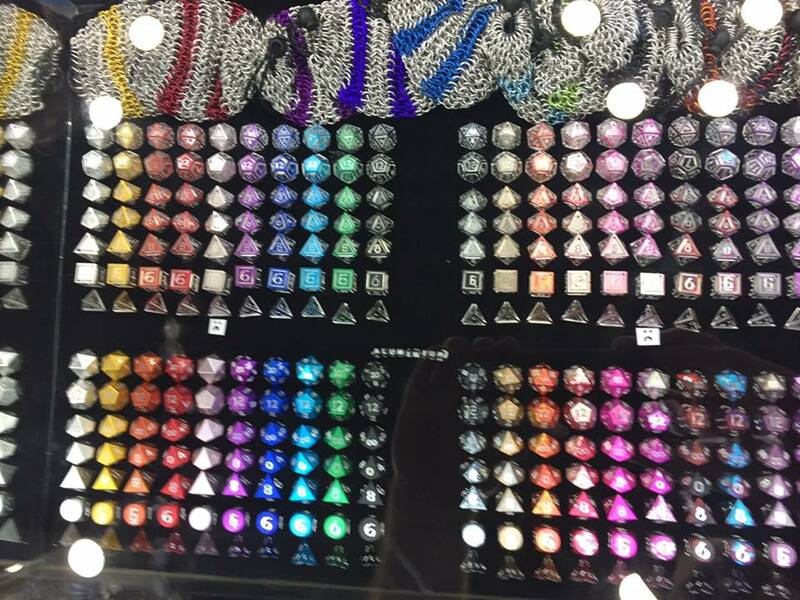 But Plaid Hat Games went one further. They've also posted up a video on their site about the psychology of playing board games, and they got a real professor of psychology to talk about it with. But yeah, you can get your copy of the game now. 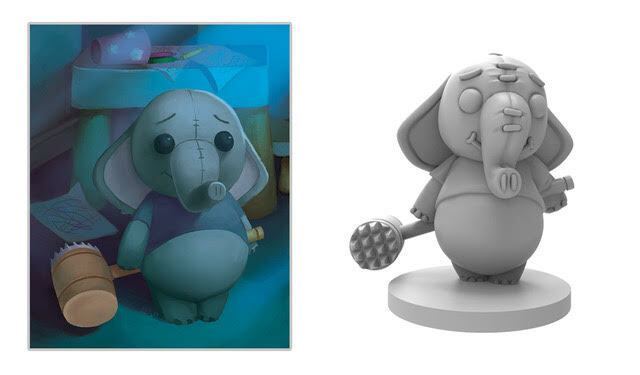 It's been a bit since we got our last Stuffed Fables look from Plaid Hat. I know a lot of you have been excitedly waiting for more news. Well, in this instance, they're giving you quite a bit. They've posted up a video overview of the game that you can check out. They're also letting people know that the game will hit store shelves February 1st. Games rarely go from first concept to print without a whole ton of changes in the middle. With each change, the game gets more refined, streamlined, and better. In this preview of Stuffed Fables, James Hawthorne, the game's designer, goes over where the game started and where it's come, both visually and mechanics-wise. Every story has a beginning. In this new preview of Stuffed Fables from Plaid Hat Games, we get a look at the first couple pages of the Storybook. So, what is this all about? Where is "base" that we build up from? That's what you get to see. The plushie characters in Stuffed Fables are protecting their sleeping girl from being harmed. But what are they protecting her from, exactly? What are these dangers out there? Well, they're Crepitus (brother of The Man in the Moon) and his army of minions. In this preview from Plaid Hat, get a look at them, so you can know what you're confronting each night. Many of us have had a stuffed animal that got loved to the point of needing some repairs. Hugs and cuddles can lead to requiring some stitching or a new panel sewn on. But such damage might not have been due to hugs, but to the nightly battles that the plushie fought to protect you while you slept. In Stuffed Fables, one such plushie is named Stitch. We get a preview of them here from Plaid Hat Games. The game of Stuffed Fables puts players in the role of plushie heroes, looking to keep their little girl they belong to safe at night. But who is this little girl? We get a bit of a preview of the dreamer in this preview. 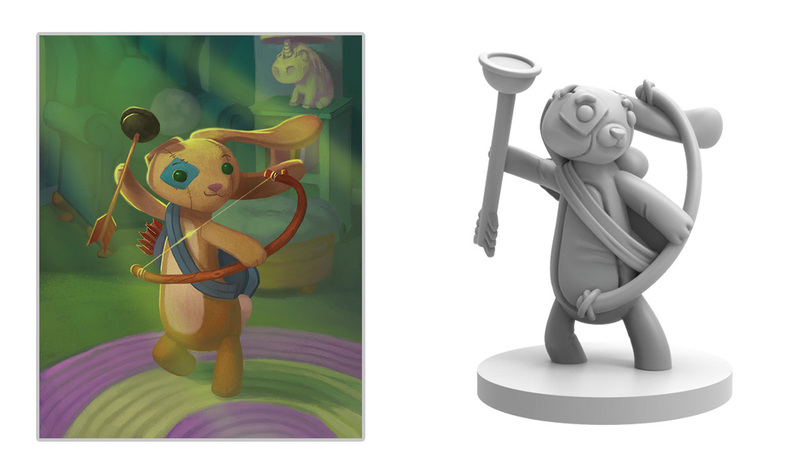 In Stuffed Fables, players take on the role of stuffed animals, going on adventures in the night. The game uses an innovative game book that not only gives you the rules for the various encounters and scenarios, but also acts as the map. It has been garnering a lot of attention since its announcement, and Plaid Hat's previews are always eagerly-anticipated. Well, here's another for you, in which we get a look at another of the cuddly crusaders. This time, it's Lumpy. Stuffed Fables is a new type of storytelling game where the game book, itself, is the scene for all the action. Players will move their figures on the book's pages, even as it tells them how the scenarios they're playing goes. But how does that all work, exactly? In this preview, Plaid Hat Games tells us just how these mechanics work on the game table. Plaid Hat's Stuffed Fables has been getting a lot of attention since its announcement. The gamebook style has intrigued many, along with the theme of stuffed animals coming to life to go on adventures and protect the children that they love. In this preview, we get a look at how the game stories work, themselves. An upcoming game that's gotten some real attention lately is Stuffed Fables from Plaid Hat Games. It's the adventure gamebook where players collectively tell a story using the book as a rules guide, game board, and more. Players will take on the role of different stuffed animals and their adventures in the night. The first preview for the game is Theadora, the adventurous teddy bear. Just about everyone, when they were a kid, had some sort of stuffed animal that was their favorite. Maybe a stuffed bear or dragon or tiger or something. You know, the Hobbs to your Calvin. And, like Calvin, you probably went on some epic adventures (either real or imaginary) with them. 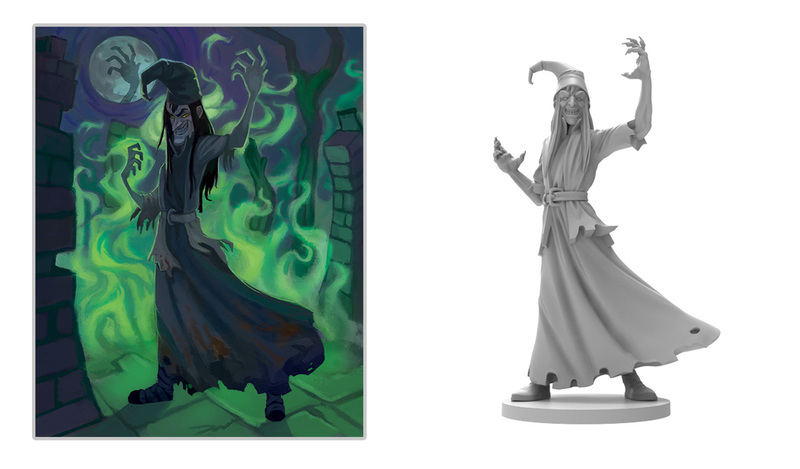 Well, Plaid Hat Games is letting you relive those with Stuffed Fables, a new StoryBoard game from the creator of Mice and Mystics.